DECISIVE ANALYTICS, an employee-owned company, provides solutions to complex problems. As a respected leader in our industry, we support the Department of Defense, other federal agencies and commercial customers. We have been honored with The Washington Business Journal’s Top 50 Best Places to Work in 2009, 2011, 2012, and 2013;, Diversity Business’ Top 100 Companies in Virginia in 2011 and 2012; the Washingtonian’s Great Places to Work award for 2007, 2009 and 2011;the Tibbetts Award for excellence in Small Business Innovative Research programs; Volt Awards Leaders in Technology in 2012; Arlington Green Games Silver Award in 2012; Top Contractor according to Federal Times 2012. DAC was honored with these awards, which reflect our hard work and dedication to our customers as well as our family-friendly and community-involved culture. 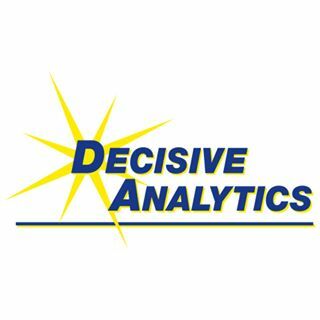 DECISIVE ANALYTICS provides a wide range of services and products. Our Intelligent Technologies sector integrates engineering, mathematics, physics and artistic talent to provide our customers with highly technical support in the area of decision support and optimization. Our Analytical Technologies Sector provides products to help a variety of government and commercial clients analyze large amounts of data accurately and find the relationships and sentiment contained in the body of data, allowing for informed decisions when dealing with vast amounts of seemingly unrelated data. Our Engineering Services Sector supports clients across the Department of Defense in systems engineering, assessing all major acquisition programs for the DoD as well as providing for the development of logistics policy development and life cycle management. The sector also provides support to the DoD in cyber security engineering. In addition we support real world defense missions and related training needs for the Missile Defense, Joint Programs, the Army, and Missile and Space Intelligence. Our International Services Sector provides support to selected U.S. government organizations to help them meet their national security needs, while also working with U.S. and international companies in expanding their defense-related business to facilitate viable global partnerships. We believe our collective abilities are the reason for our success. We continue to be innovative and agile, providing solutions for success to our customers and offering cutting edge technologies as we solve our customers’ complex problems. Focusing not only on technical work, we also emphasize social responsibility through our charitable contributions and our efforts to support our community at large. With our strategic plans, we aim to grow our business, yet we maintain our superior support to our loyal clients.